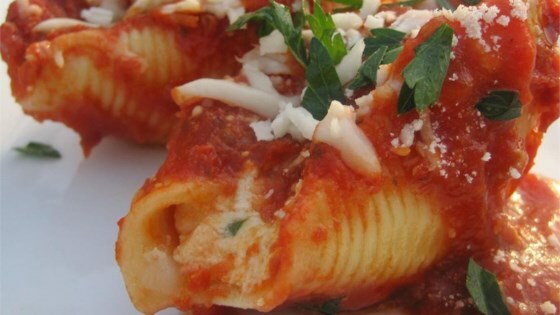 "Jumbo macaroni shells stuffed with cheese mixture, covered with sauce, and baked." Replace cottage cheese w/ricotta cheese, no egg in mixture makes stuffing to heavy. Add a little of the tomato sauce to mixture to smooth.